This is EngineerChic, where hard science and technology meets chic design and sophisticated style. Founded in 2010, this blog is a way to connect with other women around the world, sharing similar experiences in technical (typically male-dominated) fields, to discuss important questions facing women in these industries and to showcase some of the exciting opportunities out there for women today. Follow the blog and remember to stay chic! 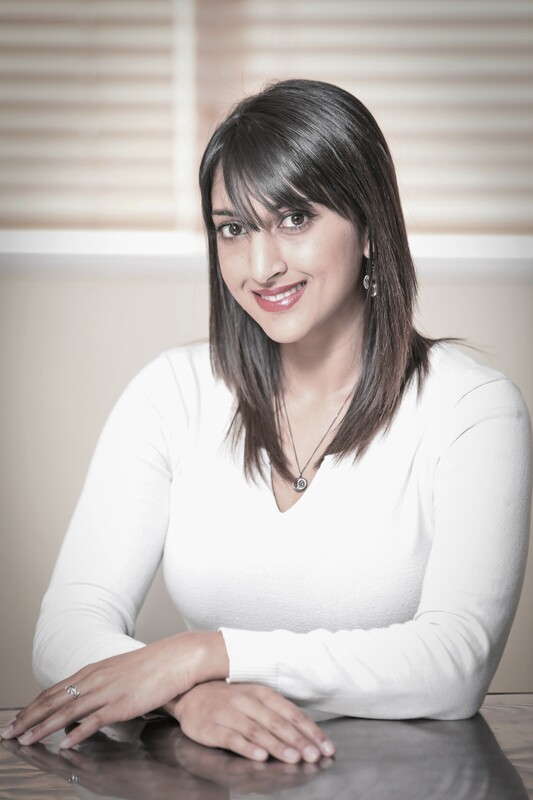 Rhea Naidoo is a management consultant at a top consulting firm. She is a cybersecurity and IT Infrastructure specialist, bringing distinctive and impactful best-practices and solutions to her clients. She has worked in two highly gender-exclusive fields: mechanical engineering and cybersecurity, and continues to connect with other women and men in the field and share her experiences through her long-running blog, EngineerChic. After finishing her degree in Mechanical Engineering at the University of Cape Town, Rhea worked in the field for a multinational mining company, designing, building and commissioning processing plants in South Africa. Her passion for technology spurned a career-change into IT infrastructure, taking her to San Francisco in 2015, where she currently lives. She has been a long-time champion for women in technical fields and has spoken at several conferences on pertinent topics facing women in the industry. She has also been a volunteer for the mechanical engineering society ASME, leading initiatives for early-career engineers and for Engineers Without Borders as a project lead. I am contacting you looking for help on a side project of mine. In my free time, I am thinking about developing a children’s animated series aimed particularly at young girls to teach them math and science and to inspire them to work in STEM. There is a market for this after all, and I am kind of passionate about it anyway as I love women and I love science. I am literally looking for advice on anything-episode ideas, vignettes, how the characters should look/talk/feel/act, what people who work in science are really like, how to appeal to young people’s interest etc. Especially how to get them interested in science. Please visit the enclosed link at your leisure, if you like, and if you feel compelled, leave me a comment at the bottom (preferable, so as order to help generate other’s interest and discussion) or drop me a line, and feel free to be mean, as that is how a good piece of art and writing, and the best teaching tool gets developed. Thank you in advance if you contribute. PS. I understand if you can’t, but even better would be if you could share this link with your peers. Wheter it be on your site, twitter, or I don’t know what. But that would really get the ball moving. Congratulations for your web site “challenge-chasing diva” and welcome to the Mechanical Engineering World…. It was a pleasure meeting you, and listening to all the interesting things you said, in Rome last night. Of course, as for your blog, judging by the way you spoke about it, I had high expectations, but you met them 100%, and I really think it can be really instrumental in empowering young women and freeing them from gender-related issues in their professional choices. I hope your flight back to South Africa was comfortable and wish you all the best for your future career and in your future endeavours as a champion of gender equality in the professional world. Thanks Roberto for the wonderful comment. It was also a pleasure meeting you. Apologies for the late response. All the best! I am a middle-aged female engineer. I am generally pleased with what I’ve accomplished and happy being me. But not happy with my place in society as an older woman because there’s a lot of prejudice against older female engineers, Guys think younger female engineers are cool. It is not just engineering but any higher level of work. So young ladies just be your exciting selves and you’ll do fine with guys. But look at Hillary Clinton, who is an older woman still in her prime, very on top of her game. She is so obviously qualified for the presidency but many people say they don’t want her for no good reason. They say it’s just a feeling they have. They don’t trust her, think she’s just “eh” like they’re rating a dessert. I showed up at a job site as a subcontractor and the site supervisor said to our client, “you brought her?” After that shocking comment we got good feedback as the job went along but I thereby learned what some people are thinking without saying, just a feeling they get, right? Women, in the workplace you can’t spill out your heart about how nervous you are to do a particular job, just stand strong to convince everyone that you can do it. If something makes you nervous, run towards it rather than away. Nervousness gives way to growth every time.